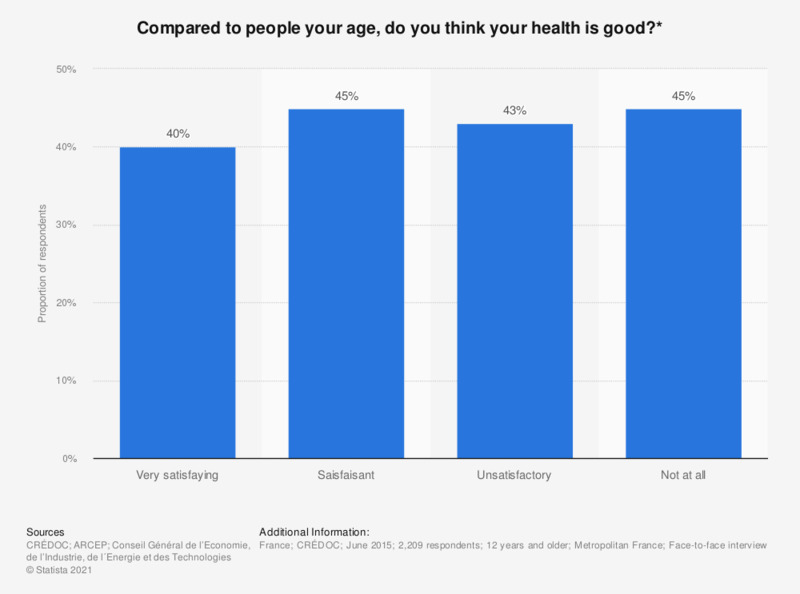 This statistic shows the opinion of the French about their health in 2015. 45% of respondents said they were not at all satisfied with their health status compared to people of the same age. * The question was formulated by the source as follows: "Compared to people of your age, do you think your state of health is? "